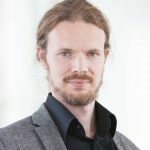 Bjørn Egil Flø is a researcher at Norwegian Institute for Bioeconomy Research (NIBIO) and holds a PhD in Rural sociology from Norwegian University of Technology and Science. His main interest is the rural – urban continuum, rural policy, resource management and rural culture. He is a well-known essayist and commentator on rural issues in the Norwegian public debate. Signe Aarhus is a co-founder of Oleana, Norway’s youngest textile factory, established in 1992. It is located in the buildings of Norway’s third oldest factory (1846) by the fjord in Ytre Arna, just outside Bergen. The building was built by the sea because there were no cars or roads at that time. The sea was the road. Oleana with its around 70 employees are knitting and sewing high quality clothes for women and children with emphasis on good design and has won many design awards. The factory is an Èconomusèe ( www.economusee.eu) and is open for the public. It has become a tourist attraction with visitors from many countries. Hans Thor Andersen, dr. scient. Since 2009 director of research at Danish Building Research Institute. Educated as master in human geography with special interest urban and planning issues he has recently dealt with demographic transformation as a consequence of ongoing urbanisation. His presentation will focus on rural districts of Denmark and their recent demographic changes. Population movement from rural to urban areas, in particularly large urban centres, has become conventional wisdom. However, a closer examination shows a more complex picture. Siv Sandberg is an experienced analyst of Nordic local and regional government, based at Åbo Akademi University in Finland. She has participated in numerous research projects and expert groups with focus on local democracy, regional government and administrative reform. Hilkka Vihinen is Research Professor of Rural Policy. She holds a PhD in Political Science (Helsinki University). 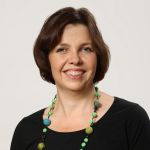 She has over 25 years of professional experience in the analysis of rural, agricultural and regional policies in Finland, in the Nordic countries and in EU. Her main research interests are politics, policy design and policy formation of rural policy as well as the forms of rural governance. Hilkka Vihinen has been an advisor on rural policy to the OECD, the EU, the Nordic Council of Ministers and the Finnish government. She has coordinated both international and national research projects on rural development issues. 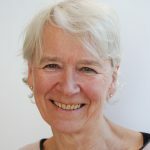 Her current research interests focus on the resilience of rural communities, sustainable place shaping, rural-urban interaction and governance, multiple residences as well as the labor and regional economy impacts of rural policies. In addition to her scientific work, she is the vice Secretary general of the Finnish Rural Policy Committee, and among other responsibilities a member of the European Network of Rural Development Assembly and its Sub-group on Innovation. Emilia Astrenius Widerström is President of the federation of Young Swedish Farmers (LRF Ungdomen), which is a network for young students, professionals and entrepreneurs within soil, forest, horticulture and countryside environment. LRF Ungdomen has 16 700 members all over Sweden. Emilia lives in a small countryside village called Moholm and works at a modern robot dairy farm with 360 cows. 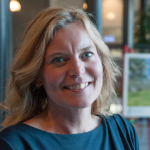 Ulrika Geeraedts is Director of regional development in Skåne. She has previously held a similar position in Region Jönköping. Ulrika worked 7 years on municipal level as head of Business development and a few years for the Swedish foreign ministry. Spent 11 years abroad mainly working in the private sector in journalism, film and communication. Fluent in Swedish, English and Dutch. 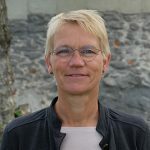 Karen Refsgaard works as Research Director at Nordregio and is specialised in institutional economics with expertise in rural development and policy, environmental and resource management mainly related to agriculture, bioeconomy and innovation. Michael Kull is a political scientist specialised in European Union and Multilevel Governance, Governance coordination and Metagovernance, Rural Development and the European Union’s Common Agricultural Policy as well as Sustainable Development Policies in Developing Country Contexts. He is also an Adjunct Professor / dosentti at the University of Helsinki. 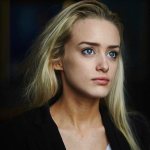 Aki-Matilda Høegh-Dam is 22 years old and studies political science in Copenhagen University. She has lived in Greenland all her life, so far in four different cities : Nuuk, Sisimiut, Upernavik, and Qaqortoq. Aki-Matilda has been politically active since the age of fourteen when she applied for UNICEF’s children’s council Nakuusa. She worked in the Greenlandic parliament and later in the Danish parliament as a secretary. Today she is the Vice Chairman for the youth party Siumut Youth, and was recently invited to China and Taiwan where she spoke about Greenland. Aki-Matilda have always been engaged in Greenlandic issues, nation-building, and post-colonialism. All of her self-chosen assignments in her time at the University has been about Greenland in one way or the other. Susanna Israelsson is 27 years old and shares her time between Gällivare and Luleå in the north of Sweden. 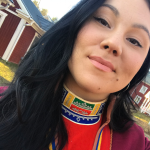 She is a political science student and vice president of Sáminuorra – the Sámi youth association in Sweden. 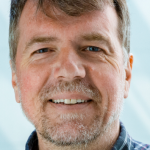 David Langlet is a professor and the holder of the newly established chair in Ocean governance law at the School of Business, Economics and Law, at Göteborg Universitet. Furthermore, Mr. Langlet is a member of the steering committee of the Swedish Mariculture Research Center (SWEMARC) and Ambassador / Coordinator of Maritime governance in the Maritime Cluster of West Sweden. His research has touched on a wide range of topics in the fields of environmental law, law of the sea, energy law, and international economic law. Mr. Langlet is also a member of the steering committee of the Swedish Mariculture Research Center (SWEMARC) and Ambassador / Coordinator of Maritime governance in the Maritime Cluster of West Sweden. Sveinn Margeirsson was born and raised on a farm in Skagafjordur, Iceland. He obtained a BSc in Food Science, a PhD in Industrial Engineering and graduated from the Harvard Business School General Management Program in 2015. Since 2010, he is the CEO of Matis. Mr. Margeirsson’s research experience includes working with several seafood companies, farmers, IT companies and universities, in Iceland and internationally. He has supervised MSc and PhD students and played an active role in science and innovation policy making in Iceland and Bioeconomy policy making in Europe. Thea Lyng Thomsen works as a business platform driver with a focus on culture, innovation and impact. In the GreenLab setting it is essential to secure trust, local ownership and support to have global perspective and local impact work together in a business environment. 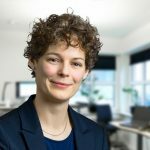 Ms. Lyng Thomsen has previously worked with the development of circular economy in a data driven perspective within construction and recycling of building materials in full-scale from a public position. As well as she has be engaged in the pre-fase of GreenLab identifying and enhancing local advantages in the culture to implement the common goal for both local and global partner: to become the centre for integrated green energy, intelligent grid and sustainable production. 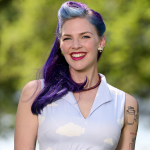 With a degree in human science Ms Thea Lyng Thomsen has worked with culture and social innovation and methods for securing optimal inter-relations, trust building in a business development perspective. Urd Grandorf Bak is Research and Innovation Manager at Ocean Rainforest since 2015. She has a M.Sc. Environmental biology and geography. 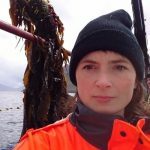 Urd is currently doing an industrial PhD on seaweed breeding and cultivation and is connected to the National Food Institute at Technical University of Denmark (DTU). According to the project plan she will finish her PhD in January 2019. Rob Clarke has worked in economic development for 28 years, the last 23 of these with Highlands and Islands Enterprise, the economic and community development agency for the north of Scotland. During this time he has worked on agricultural marketing, food and drink sector development, international trade, inward investment and European policy and funding. His current role has a particular focus on regional and rural policy with a strong interest in the value of collaboration between regions. Sari Tuuva-Hongisto (PhD) works as RDI advisor at Juvenia –youth research and development centre in South Eastern Finland University of Applied Sciences (Xamk). She is a scholar of cultural studies and her fields of expertise include ethnography, cultural studies and science and technology studies (STS). 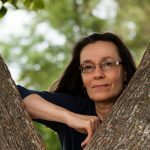 She has published several international refereed articles and has authored and co-edited several books and reports. She has combined cultural and ethnographic approach to various multi-disciplinary topics (information society development, media culture, foresight, forest sector and bio-economy). At Juvenia her research has focussed on rural youth in Eastern Finland. 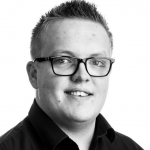 Edvard Bele Sæterbø is 24 years old and was born and raised in Surnadal, Møre and Romsdal in Norway. He is currently an automatician apprentice at PipeLife. He first heard of Norges Bygdeungdom(NBU) in 2012 when he was invited to one of their events. Soon after he was asked to join the regional board and after that things really took off. In 2015 he was chosen President in the regional team – Møre og Romsdal Bygdeungdomslag, something he then thought was the “peak”. But, during spring 2018 he was asked to join the national board as their Cultural leader. 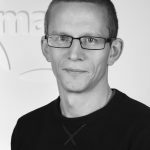 Since 2015 Peter work as an analyst at Region Dalarna, where he is involved in various topics relevant to regional development, such as population development, demography, integration, infrastructure, education. 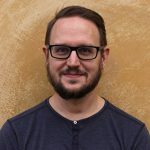 Before 2015, he was employed at Högskolan Dalarna where he wrote his PhD thesis about young adults in rural tourism areas with a focus on how tourism affect the adult transition. In addition to a broader focus on regional development, topics concerning youth and countryside have been his main themes of interest, both as a researcher and as an analyst.